What Does Flood Insurance Cost in St. Petersburg, FL? What Does Flood Insurance Cost in St. Petersburg? We Realtors are often asked by prospective home buyers about flood insurance rates in St. Petersburg, Florida. I am sure we will get asked even more now that hurricane Irma hit the state of Florida. There is no easy answer to this question. There are many horror stories when it comes to the cost of flood insurance in Florida. We are just talking about flood insurance here and not general homeowners insurance. They are seperate policies. People frequently get confused about this. The entire state of Florida is in a flood zone. Yes you read that correctly. Even the highest point in the state, Britton Hill at 345 feet above sea level is in a flood zone. Home buyers often ask to find them real estate that is not in a flood zone, but that is impossible if they want a home in Florida. The lowest risk flood zones to get is B,C, or X flood zones. 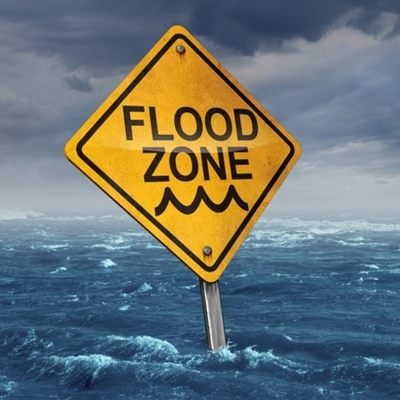 Most Realtors will mistakenly tell you that a specific home is not in a flood zone when in fact it is in an X flood zone. X doesn’t mean it’s not in a flood zone, it just means you are not forced to purchase flood insurance there. The B, C and X zones are in the 500 year flood plain and deemed not risky enough to require you to purchase flood insurance by your mortgage lender. Keep in mind that if you pay cash for a home, no one can force you to ever purchase flood insurance, it is purely your choice whether you do or not. If you have a mortgage, the mortgage lender will specify what zones require flood insurance to be carried on it. Once you pay off the mortgage, you can cancel the flood insurance if you deem that feasible. Do I have to Buy flood insurance on my St. Petersburg Home? If you plan to carry a mortgage on your home, the zones that you need to look out for are the A and V zones. The V zones are very close to the beaches and are called velocity zones. If you are lucky enough to afford a home in the V zone you probably are not worried too much about the cost of the insurance. The A zone is the 100 year flood plain zone. This is the zone that causes the most headaches in Florida. If you buy a home in an A zone, and you have a mortgage, your bank will force you to carry flood insurance on the home. Not to worry though as there are ways to lessen the costs. What determines the cost of St. Petersburg, FL flood Insurance? This is a question that only you can answer. As I mentioned previously, if you own your home and do not have a mortgage on it, no one can force you to purchase any types of insurances including flood insurance. I find that some of the older homes that have high insurance premiums are being bought by cash buyers and they are electing not to purchase flood insurance. Generally these people have enough of a rainy day fund to handle any cash outlays that a flood might cause. These people have calculated the risk of flood and decided it makes more sense to invest that money elsewhere Sometimes in these cases the land the home sits on may be worth more than the home itself, so if a flood comes it just gives them an excuse to tear the home down and build a new one. If you purchase a home located in the X, A, or B zones, you may want to consider purchasing flood insurance even though it is not required. Usually flood premiums in these areas are very cheap, maybe only 350 dollars per year, and it may make sense to go ahead and purchase the policy. In some cases, the elevation of a home in an A zone may only be a few inches in elevation different from a neighboring home in an X zone. Often one side of a street is in an A zone, and the other side may be in the X. If there was a Katrina like hurricane event here, the A and the X zone on that same street would likely get inundated with water. Better safe than sorry. So as you can see there is no simple answer to “how much does flood insurance cost.” If you have questions, contact a local Florida insurance agent and they along with your DWELL Real Estate Realtor can assist you. Article written by Jason Painter of Program Realty.